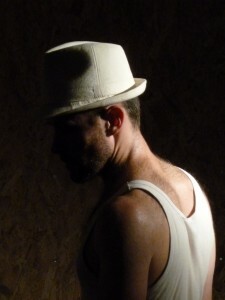 The Drunken man theatre was created in Paris in 2006. It prolongs in a way the trajectory of La Machine visual and puppet theatre company, which created 2 common works Un silence en sourdine (Marie-G L’Her, 1999), and Yvonne princesse de Bourgogne (after Gombrowicz, 2002), and a play directed by Jean-F Favreau, Manège/Woyzeck (after Büchner). 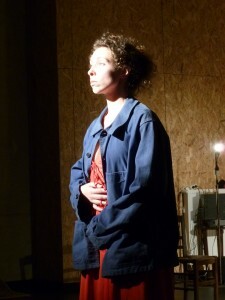 In 2011, the Drunken man theatre presented in Wroclaw, Grotowski Institute, a first draft of Marie, solo around Decroux’works and Robert Walser’s text, which was as well performed in France (Lavauzelle, La Métive). Mainly, the last years, the Drunken man theatre was working through workshops with young actors in Paris, Marseille and Limousin, as well as in Luxemburg and Poland.